This beautiful engagement ring has a gentle swirl design with a round center stone in a prong setting and multiple side stones. This is the ultimate engagement ring for your beloved. 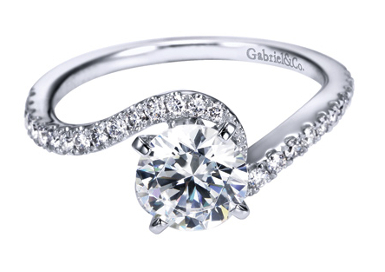 This 14kt white gold round diamond side-stones contemporary bypass engagement ring is truly worthy of the one you love.